If 8-year old Vivienne can do it, so can we! This 8-year old kid is some example! She does the right thing. I did not collect money today for a good cause. I did not make a stand for a public matter today. I did have a nice talk with my dad. I did leave a message on a friend’s voicemail I have not spoken to for awhile. I did tell a colleague to go home when obviously ill. I did catch up with my neighbors and their cute kids. I did cook, despite feeling tired and having a headache. I did clean up my kitchen. I stand for inspirational, courageous and natural. I wish to follow my heart and live a courageous life and inspire others to do the same. And I wish to contribute to a more natural world, both environmentally, but also in the way we do business. I wish to do business from the heart and I will stand up for this, as much as I can and wherever I can. 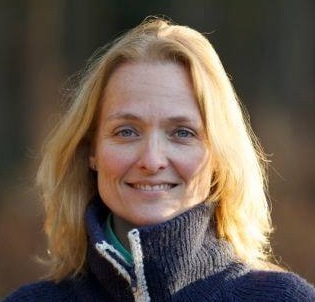 Madeleine Boerma is self-employed and works as ICT process, project and team manager. In 2015, she published a Dutch paperback for independent professionals called Het zakelijke hart. And in 2016, her ebook on Leadership in Project Management will be made available via bookboon. What jump do YOU wish to make?